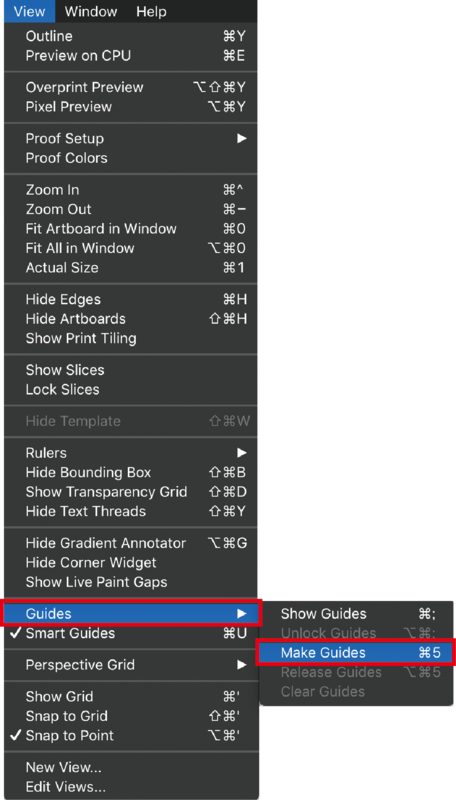 Guides help you align text and control graphic objects with ease in Illustrator. Straight line guides can be created by holding and dragging out from the ruler. Or, you can use any pretty much any path to make a guide. This means you can use a rectangle, circle or hand-drawn paths as a guide. 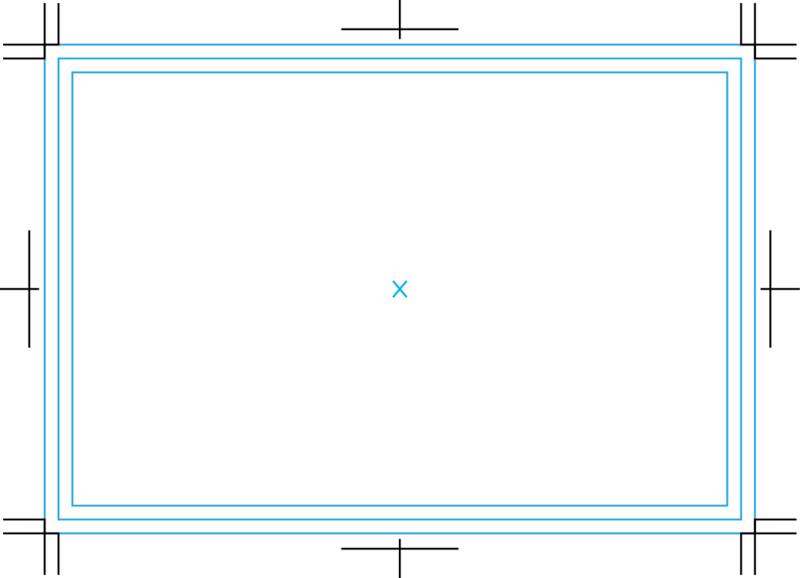 By default guide lines are light blue, solid lines but they can be edited to be any colour or to dots by adjusting the Illustrator preferences. Don’t worry, these lines do not print! When you create guides they are unlocked so you can move them, modify them, delete them or lock them in place when you are done with them. Before we start off lets make sure you have set guides as viewable or you won’t see them! You can check by selecting the menu up top: View > Guides > Show Guides. Now, you may see 3 guide rectangles on our template now, the outer one represents the bleed area, the middle one represents where the trimming will happen and the innermost one represents the safety area, where you should keep all your important content inside of. 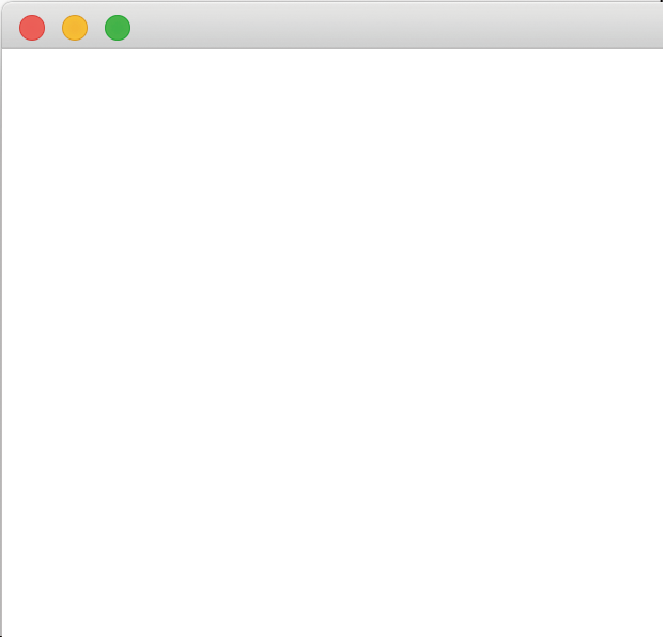 Converting an object into a guide is really simple. Follow the steps below to learn how to create object guides. 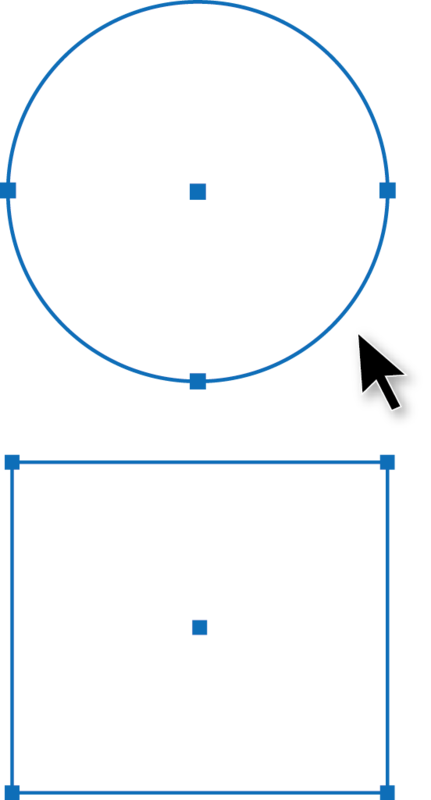 Select a tool on the left and create your shape. Select the object you want to make into a guide, then from the View menu go to Guides > Make Guides. 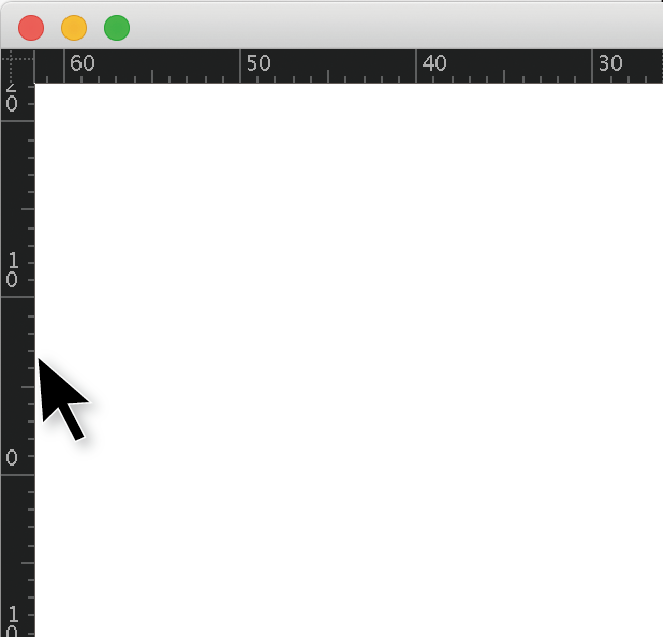 Straight horizontal or vertical guides can be created by clicking on the ruler area, and dragging out with your mouse. First, lets check that your rulers are turned on. 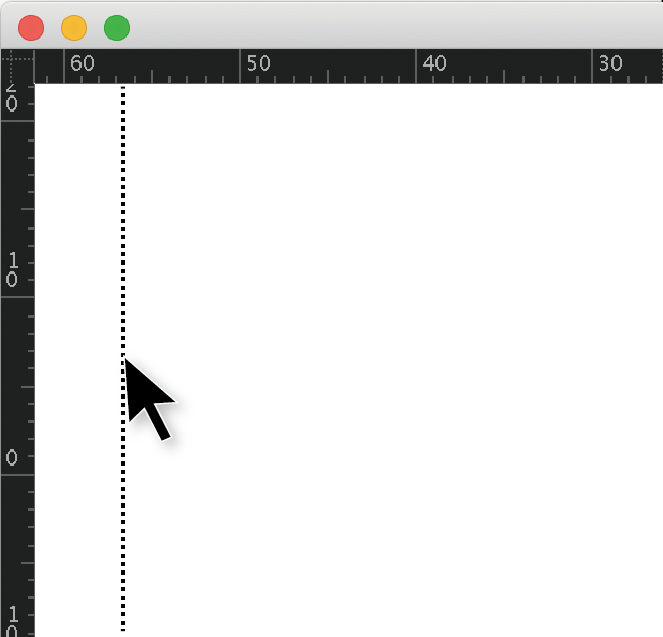 Do you see rulers at the top and left of your screen? If not, then let’s enable them. 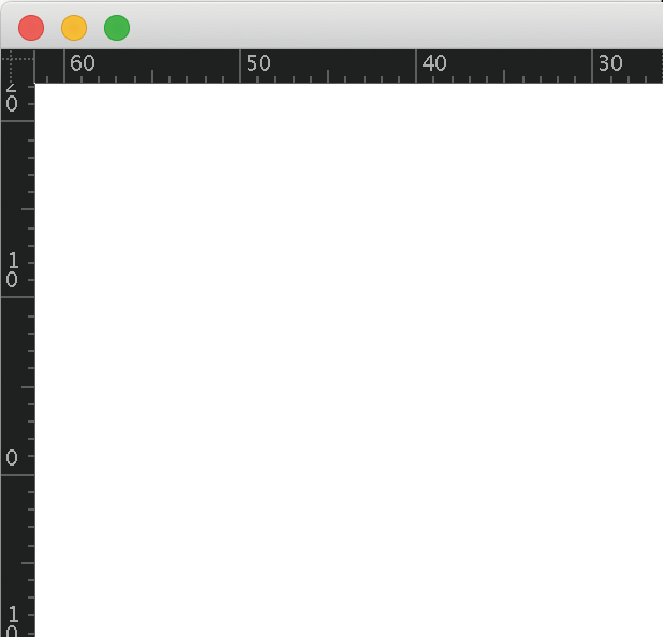 From the View menu go to Rulers > Show Rulers. top ruler to make a horizontal guide. Then, drag the guide into position. Click and hold the left ruler Drag towards the right Release the mouse button and you have a guide! Something else you can create guides from is text. This can come in handy when you need to leave important information regarding direction, orientation, folding area, or any other non-printing notes.